Microlens arrays with superior form accuracy are used for applications, where reliability and highest efficiency are crucial criteria. They range from beam transformation for fiber coupling over the homogenization of laser light up to the efficient combination of laser stacks of identical wavelength. The lateral dimensions of the arrays range from some millimeters in the micro-scale up to 30 millimeters for the macro-scale. The dimension of the array structures are typically in the submillimeter range. With its unique production technique, INGENERIC is able to keep the form accuracy of the arrays within the submicron range. We operate a strict quality control policy. For diagnosing the relevant product characteristics and thus ensuring the specified quality, INGENERIC has a considerable equipment of measurement devices available. Beyond that, certain products can further be tested in the application which they will encounter at your site. In conjunction with our sophisticated manufacturing technology, this guarantees the production of optics with unsurpassed collimation and homogenization characteristics. Major applications for lens arrays with spherical or aspherical curvature are imaging and illumination as well as the effective collimation of laser light. Lens apertures from 0.2 mm up to 3.0 mm are possible. High filling factors and minimum dead zones allow unique beam shaping results. For deviating requirements, please contact our specialists. 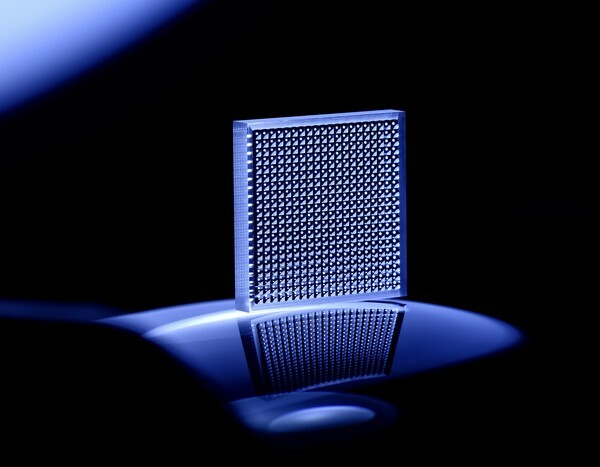 Cylindrical microlens arrays are used for the transformation of high power diode laser beams. The INGENERIC XP-micro-cylindrical arrays stand out due to an aberration free image and an optimum light efficiency. Assuring facts for these features are the extremely high pitch-repeatability and the minimized dead-zones between the lens elements. Due to the high form accuracy the arrays show an extremely stable focus position.